Thanks. Having 5 Golden’s I see fun on a daily basis! Yes. I have to say I have way too many photo’s of them together with the stick. But it is so darn cute. They are so serious about it. I bet you would get along just fine as a Sundog. 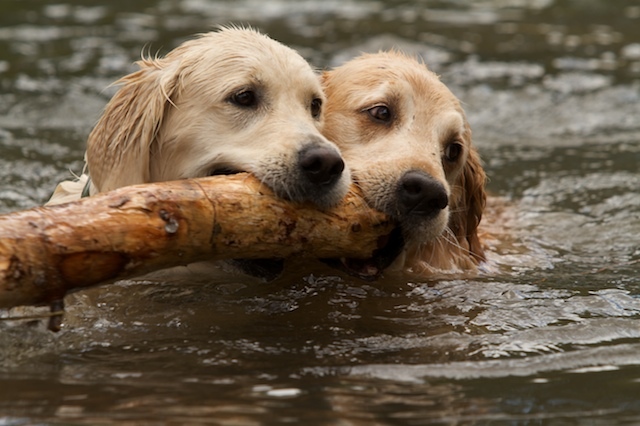 You know how Golden’s are, being sociable, even with sticks, is one of your better traits. They are beautiful dogs. The photo with the two of them holding the same stick is amazing!